We all know that the work-at-home-mom (WAHM) writers aren't considered the upper echelon of the writing community. If you didn't know that, you've never read about the cost-savings to be had by tricking desperate WAHMs into providing ultra cheap articles in a particular forum’s Special Offers. 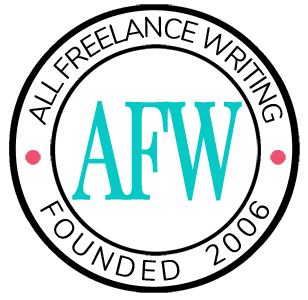 Well, as a few of us here can tell you, having children and enjoying a professional writing career are certainly not exclusive entities, and even when you stop to consider the penny-pinching, low-cost WAHM writers mentioned in those special offers and “tricks of the trade” forum posts we can learn quite a bit from their experiences. The majority of entrepreneurs working online tend to focus on maximum earnings. How much money can you make? Of course you've done a rough calculation of how much you really need every month, but the general goal is to far surpass that and that requires work upon work to build a booming business. For those individuals with boundless amounts of time and energy, going above and beyond to create a thriving, growing business model is commendable. But there is a price to pay with intense workloads and long hours, and not even the strongest person can do it forever. Working moms know that there are absolute limits to what you can get done in a day. Prior to children they also likely enjoyed hours of unstructured time to do as they please, but with a baby or small children demanding attention and needing care virtually around the clock, there is only so much time available for anything besides raising the next generation. First, they know that the smaller amount of time that you actually have to work, the more productive your work is likely to be. There is just not time in the day to procrastinate and you’re working under the gun in short, productive bursts. Second, a WAHM works only what she can or needs to work. She often writes to help supplement the family income. She may be working full-time or she may not, but she knows there is an amount each month that she needs to make. Often, once she reaches that goal, she doesn't stress about making more – she has other things to do. That’s not to say her business won’t grow or change over time, but you won’t find her working twenty-four hour days at the computer. Her kids simply won’t allow it. The moment I became a mother, and then a bit later a working mother, I learned something that I’d never really known before. There is truly a limit to productivity – you can really only do so much in a day. Why is this an important lesson? It’s simple really – once you've truly hit your maximum, you know what that is and what it feels like. You can then plan accordingly based on what you can truly handle in a given day. A new school of research says that it is not how many things we do in a day that makes us feel so mentally tired. It is how many decisions we make in that day. Having children ratchets up your decision making about twenty-fold. Suddenly you’re not just making decisions for yourself – your decisions affect someone’s life and they matter. Add to those child-related decisions your work related decisions and your household decisions and you can see where you feel completely mentally exhausted at the end of every day. But amazingly the working mother hits that limit a few times and then learns to adjust her day to accommodate it – more sleep, more schedules, more routines and more practicality to truly achieve a work-life balance that you can’t truly understand or appreciate until those lovely children force you into discovering it. This past August I was able to quit that stinkin’ 9 to 5 job – and it would NOT have been possible without SBI!. I not only earn enough, I save $45 per week on gas. I can volunteer at my son’s school and I have much more time to develop my site. SBI! has truly created a win-win situation for my family, especially in this difficult economy!